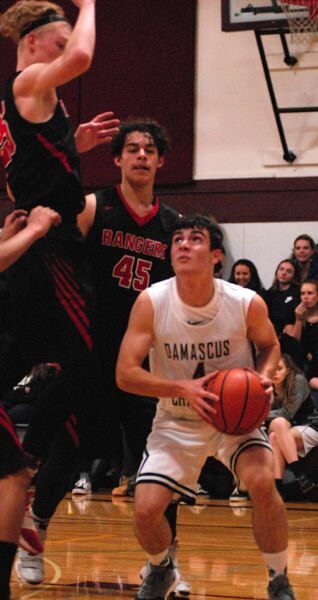 The Damascus Christian boys basketball team came back from nine points down in the second half to score a 47-41 win over Dufur in its season opener Friday night. The Eagles started their comeback when Jacob Zakharyuk hit a floater late in the third quarter. On the next possession, Damascus swung the ball around the horn and it ended up back in Zakharyuk's hands for an open 3-pointer. The teams broke the huddle to start the fourth quarter, and Zakharyuk found Jonathan Shields outside the arc for another bomb that brought the Eagles within a bucket. "I hadn't hit a 3 all game, but Jacob found me and my defender didn't get a hand up. I had the space, so I took the shot," Shields said. Zakharyuk knocked down a jumper moments later to knot the score. Dufur had success sending the ball inside to 6-foot-5 center Daniel Radcliffe, while growing its lead in the third period. The Rangers attempted the same strategy with the game on the line in the fourth, but by now the Damascus defense had a new look. "He's a beast, and we don't have anyone that size, so we put on a trap to make it difficult for them to make that entry pass," Damascus coach Brad Patrick said. On one of the rare occasions when Dufur did get the ball inside to Radcliffe, he turned to release a shot only to have Damascus Christian's slide across the lane and swat the shot into the corner. Shields scooped up the loose ball and went the other way for a layup that gave Damascus its first lead of the second half 40-39 with 3:52 to play. "It was just weakside defense, and I was able to get there and make a play — it felt good," Budey said. On Dufur's next trip downcourt, Radcliffe was forced out to the perimeter to receive and pass and promptly turned the ball over with a traveling violation. On the other end, Budey hauled in a pass and drew a crowd just above the free-throw line only to release the ball inside to Spencer Powers, who was left all alone at the side of the hoop for an easy two. 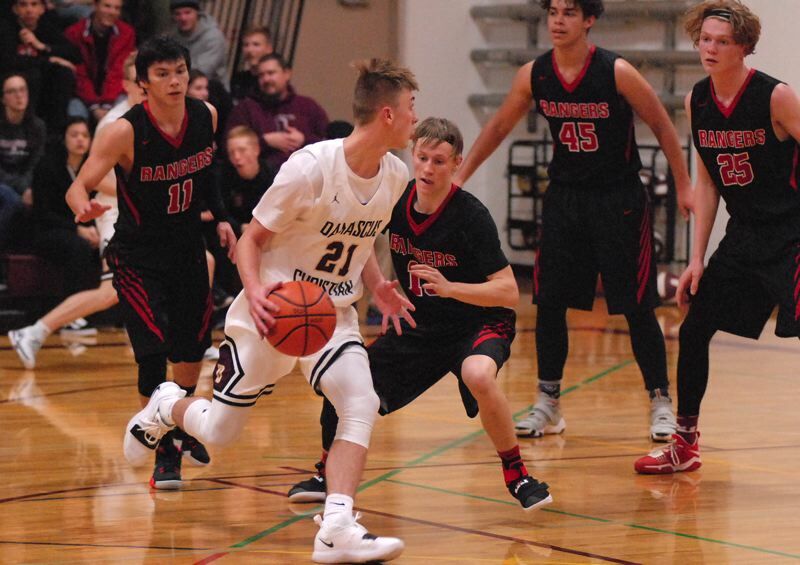 The Rangers had a chance to tie the game after being fouled on a 3-point try with 1:34 left, but three missed free throws kept the score stagnant. Damascus grabbed the rebound and smartly played keep away, largely with Shields dribbling through traffic forcing Dufur to foul. "It's not easy dribbling around three guys, but you know that eventually they are going to have to reach in," Shields said "Coach wanted the ball in my hands. He was confident I would hit the free throws." 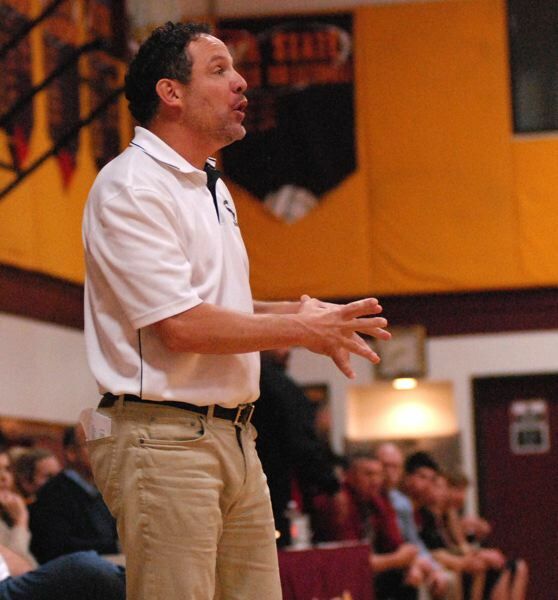 Shields knocked down 3 of 4 (.750) down the stretch, while Dufur misfired on a series of 3-point tries. "Our shots weren't falling early, but we rallied as a team," Shields said. "We wanted to start the season with a win." Damascus plays at Arlington, a neighbor to Dufur, at 7 p.m. Monday before opening the Valley 10 season at 7:30 p.m. Tuesday at Country Christian. The Eagles were held to two baskets in the second quarter, allowing Dufur to go into halftime tied 18-18. The Rangers got treys from Anson Jim, Tanner Masterson and Cooper Bales to build their largest lead at 29-20 midway through the third quarter. Dufur (41) — Daniel Radcliffe 18, Tanner Masterson 7, Trey Darden 7, Cooper Bales 5, Anson Jim 3, Anthony Thomas 1, Kilby, Olson. Damascus Christian (47) — Jonathan Shields 14, Jason Budey 9, Jacob Zakharyuk 8, Sam Tichenal 8, Spencer Powers 4, Nathan Bogdan 2, Luke Nelson 2, Brandon.